become one of the fastest growing economies in the world. 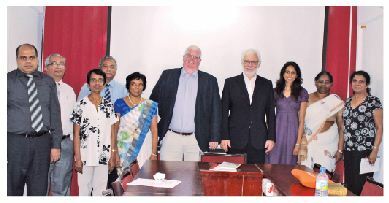 As part of ANC’s endeavor to make teaching relevant, inspirational and contemporary, ANC, the leading US education provider,organizes manyindustry visits annually to provide students the opportunity to experience the corporate world inside and outside Sri Lanka. Previously, ANC has facilitated student tours to many countries such as Singapore, Malaysia and India for several consecutive years, allowing students to explore developed and emerging markets and some of the world’s leading companies. Under the ANC GPSI Pathway, ANC has designed the NU business undergraduate curriculum encompassing such unique industry visits to help students discover what is beyond classroom theories. Revolutionizing education, ANC has partnered with 30 locally and internationally renowned Blue-Chip companies such as MAS Holdings, Virtusa, Samsung, HayleysAdvantis, Cinnamon Hotels and Resorts, E Channeling, DIMO, Hilton, Ceylon Oxygen etc., to give students enrolled in the GPSI program guaranteed paid-internship opportunities in Blue-Chip Companies, leading to immediate employment upon graduation. 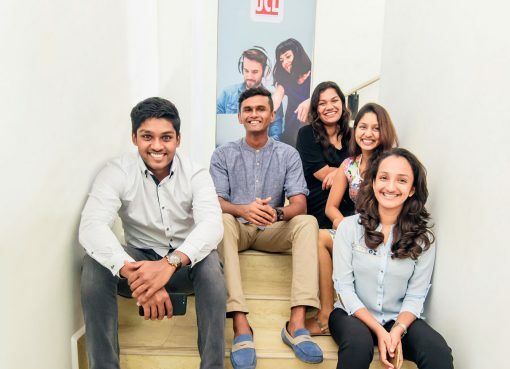 The program promotes corporate visits to a range of business operations from small traditional enterprises to huge multinational corporations in Sri Lanka and in financial epicenters in the world, during the second and third year of the NU business degree program. The curriculum also comprises of training and skill development programs to help students develop various skills needed to do well in the future careers. The recent educational excursion to Dubai organized by the ANC Business Club had an array of insightful activities lined up for students from the 9th to 12th of May. Activities included an educational tour in the city, two corporate visits, a campus tour to the Emirates Academy of Hospitality Management (EAHM) in Dubai and a visit to the Aquaventure Waterpark. During the city tour, students spent time exploring many monumental places and world famous attractions in the city which allowed them touncover culture, history and heritage of Dubai that has undergone rapid transformation. The two corporate visits came as an eye-opener for students. The tour to Volt Lab, which is a leading digital marketing agency in Dubai specializing in Search Engine Optimization, gave students insight into new advertising methods, comparisons between the old and new ways of advertising, client behavior patterns and shifts in pattern and how to start up an E-commerce business etc.The corporate tour to AkvilePareigyte, the Founder of Volt Lab, introduced students to a multi-cultural working environment where they shared the knowledge of its staff members and received an in-depth understanding of the company’s operations. The students also secured the chance to meet the Google Regional Manager in Casablanca, Morocco via Skype for an information session on Google Trends and how to become a Google Partner. President of the ANC Business Club Jason Fernando who is studying in his third year of the NU Business Degree Program said that the tour was a fantastic opportunity for students to get a glimpse at the corporate world in a fast-growing country. “Annually, ANC Education together with the Business Club organizes a tour abroad to immerse students in the corporate culture and to give them global exposure. By facilitating visits of this nature, ANC allows students to receive practical knowledge and global perspective – going beyond classroom learning,” Jason added. Apart from the corporate visits, the students were given a guided tour in the EAHM which is an integral part of the Jumeirah Group that manages numerous luxurious and innovative hotels and resorts in the world. The EAHM is the only academy that works in an exclusive academic association with Ecole Hôtelière de Lausanne (EHL) in Switzerland, the oldest and most respected hospitality school in the world. During the tour, students had a glimpse at the student life at the EAHM and the structure of its business management degrees. In addition to the details provided by Associate Director for Enrollment Alejandro Celli on its programs, costing and practical components of its degrees, students were provided with information on the prestigious Jumeirah group. Onlyat ANC, students get such unique opportunities to explore other countries, cultures, new environments and the corporate world outside Sri Lanka,as ANC Education recognizes the importance of educational excursions abroad. For business undergraduates, it is paramount that they receive exposure both locally and internationally to understand diverse corporate cultures and business operations across many platforms as they step into the real world to launch their corporate careers. With A/L Results Released; Why Not Consider Studying in Australia, New Zealand or Malaysia?